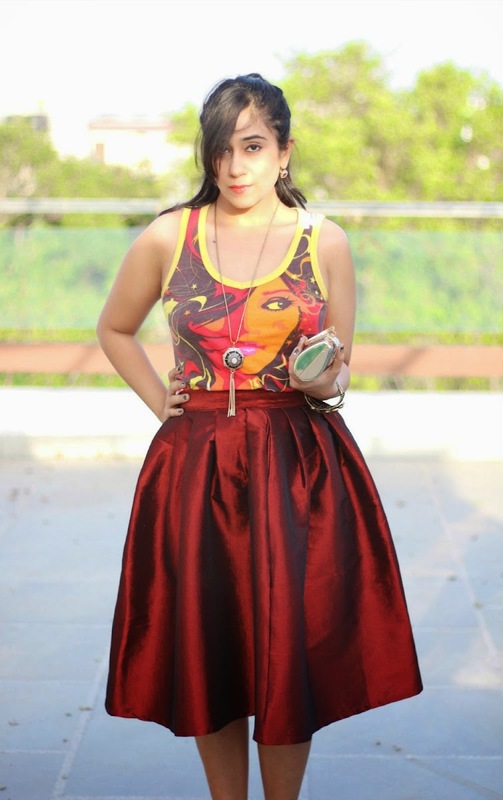 it's a cool tee..and really love the skirt. 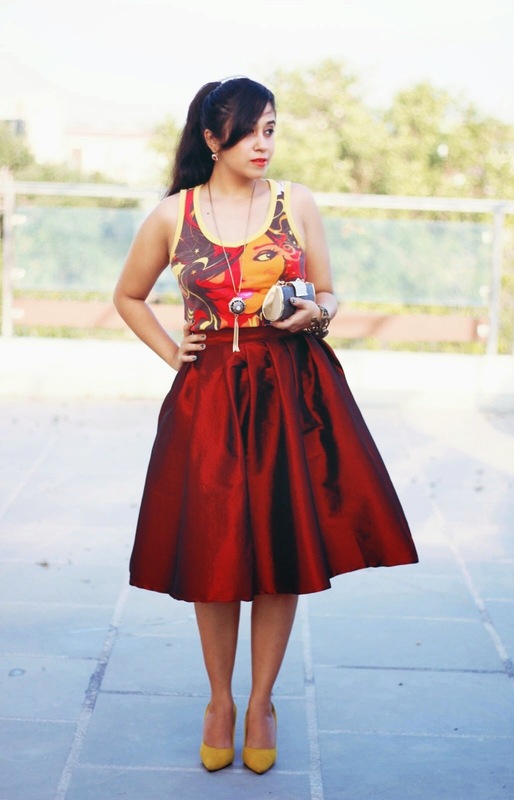 Love your skirt dear , grat style ! That top is fabulous! I love how you've put this outfit together! Such a stunning outfit . Killed it ! You look amazing in that outfit, so lady! You look super pretty ! That is such a unique dress!! Absolutely stunning girl.... Love your styling. What a cute look today, I love the skirt so much and the top you combined with it is pretty adorable, too! This is sooo wonderfully! I really love this skirt and it's color. 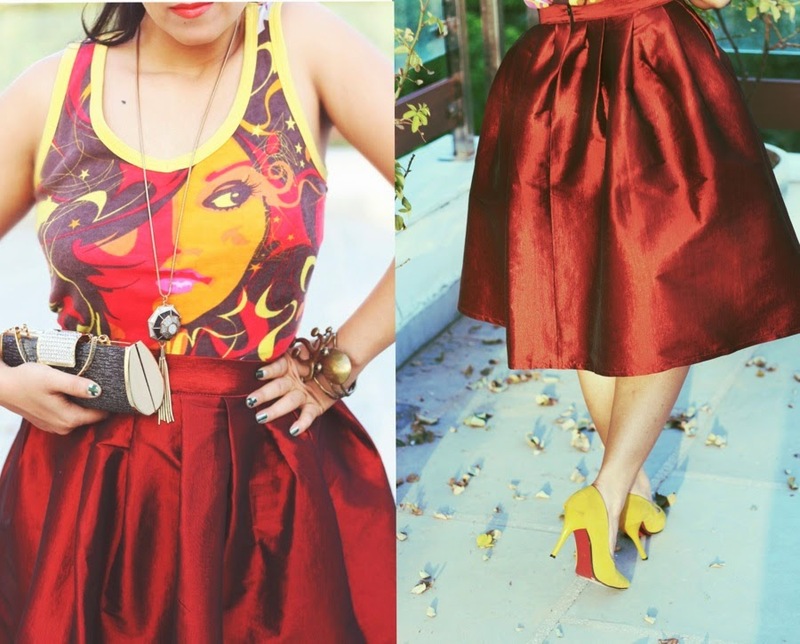 I so LOVE that skirt!!! the color is to die for! love it! Just simply gorgeous! 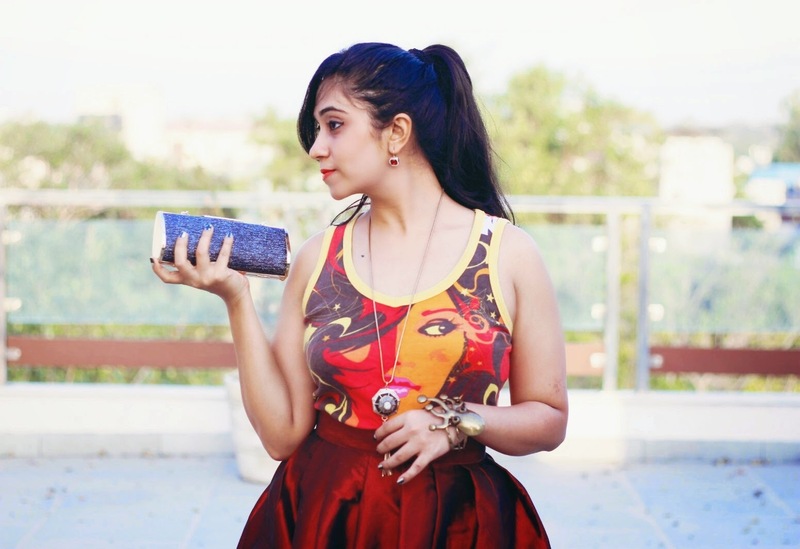 Love how you have paired a simple tee with that delicious skirt and created a mind blowing outfit. Love everything! That skirt is really soo nice. Really soo nice. Perfect skirt. Love the skirt & heels <3 Beautiful outfit Surbhi! I love the outfit. The color of the skirt is amazing. One word: Lovely! This is a perfect outfit and can inspire anyone. Also, that belt you were asking about, I got it with an old van Heusen dress. 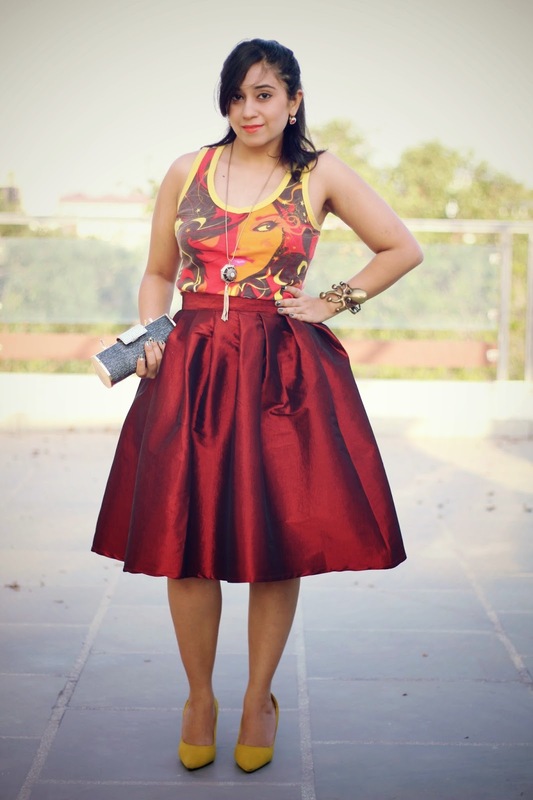 Love the skirt...n the way u have styled it....its so perfect. following you now everywhere boo.